The master mind of one of my favorite bands of all time, Robert Smith of The Cure. Smith weaves story lines into lyrics flawlessly. Like any skilled writer, he evokes pure emotion through the lyrics he writes and music he creates. 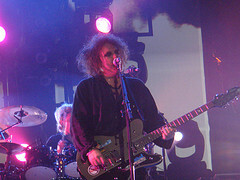 Since 1976, The Cure has wowed audiences. 35 years later, the band continues going strong and remains at the top of my playlists. This entry was posted on October 17, 2011 by Laney. 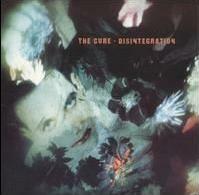 It was filed under Blogging, Inspiration, Music, Random, Writing and was tagged with Robert Smith, The Cure. Thank you going out to imonthebandwagon for continually “liking” my posts–even when they’re totally random;)) Thanks.